Laptop Friday is an opportunity to meet local business people and work, swap ideas or network in a friendly atmosphere over a coffee. If you work from home and spend a lot of time on your own it's a chance to get out and about while still keeping an eye on those important emails and tweets. There are new people almost every week and everyone is welcome. Just come along between 9.30am and 12 noon and introduce yourself to our organisers Nigel Knowlman and Louise Jenner. For more information visit the Laptop Friday Facebook page or contact Nigel Knowlman. Please use the group as an online environment for co-working and collaboration e.g. sharing ideas, asking for business/tech help and making recommendations. We're all about co-working and networking so we encourage links to blog posts on co-working, networking, working from home and working in coffee shops. We're informal and friendly but we expect a level of professionalism from our members on and offline. Rude or inappropriate behaviour will not be tolerated. Skillspace Networking aims to support small businesses in Cheltenham with a talk every month on a topic of interest, from cyber security to social media. There is plenty of time for networking before and after the talk and '15 seconds of fame' to introduce yourself and your business to other attendees. The event is free but we ask everyone to contribute £1 to nibbles after the talk.Join us from 7.30pm in the Beehive, with the talk starting at 8pm. ​For more information visit the Cheltenham Connect Facebook page or contact Belinda Wilson. Come for a while or stay all day! This year the popular Connect Business event will be focused on ‘Creating Opportunities’ in Cheltenham for local businesses. The free event, with booking now open, includes an exhibition of 26 local suppliers and business talent, a full program of expert speakers from a range of business areas and plenty of chance to network. The event takes place at The Pavilion, Hatherley Lane, Cheltenham GL51 6PN on Thursday 20th September 2018 from 10am to 3pm. Visitors can drop in for half an hour or stay all day. Places are free, with an optional lunch cost of £8. Booking details at www.connectbusiness.org.uk Follow the event on Twitter @cheltconnect and #creatingopportunities. Join the Connect Business group on LinkedIn. Connect Business is a free annual conference and exhibition which aims to encourage networking and local sourcing in Gloucestershire. 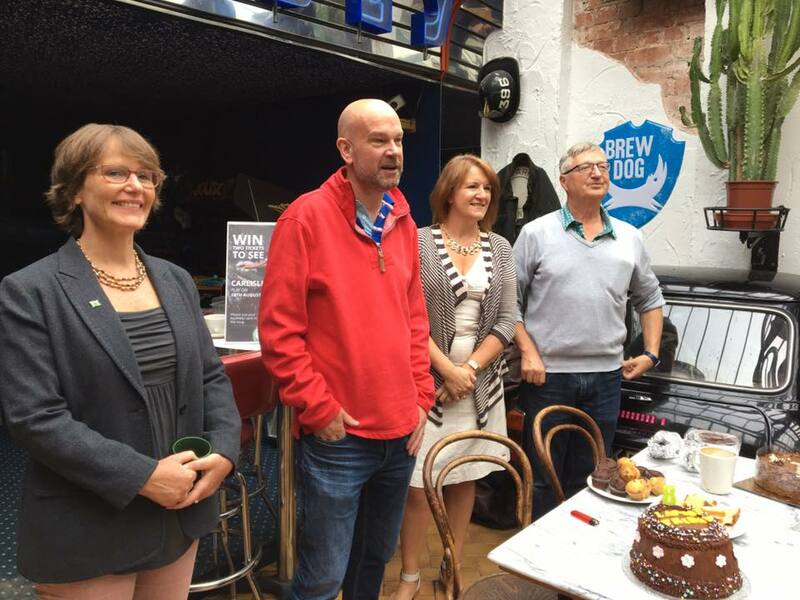 2017 was the seventh year the event had been hosted by Cheltenham Connect, a voluntary business community group. For both visitors and exhibitors our fantastic line up of speakers includes representatives from Spirax Sarco, and the new John Lewis. We'll also be hearing from Alex Chalk MP and Adam Starkey from GFirst LEP. Tim Atkins from Cheltenham Borough Council will also explore opportunity and innovation in association with the delivery of GCHQ’s innovation centre - and what this could mean for the future of the region. Last year more than 150 people visited the Pavillion, in Up Hatherley, to browse 22 stalls from local businesses, and hear talks on different aspects of marketing and business. Co-organiser Belinda Wilson, Cheltenham Connect SkillSpace Group Leader, said: “The seventh Connect Business Day was a great success. The event was opened by Mayor of Cheltenham Klara Sudbury and started with a talk from Dominic Cotter of BBC Gloucestershire and Kelly Ballard, head of Marketing Cheltenham. A panel discussion on achieving the business dream saw Pamela Chen-Moore from Chen-Moore chopsticks, author Luan Wise and Cheltenham Town club captain Aaron Downes go head to head. Nigel Knowlman, director of the Business Kitchen, has been to the event for the last three years. He said: “It’s fantastic to see the local businesses that are doing so well. Stalls included the Cheltenham Chamber of Commerce, Cheltenham Coworking, Nettl of Cheltenham and the Federation of Small Businesses. In the afternoon MP for Cheltenham Alex Chalk addressed the event. He spoke about varied topics including business growth, the upcoming cyber hub and improvements to the A417. For more information visit the Connect Business Day website.